I am not, in anyway, being paid to make this review, or being compensated by Endangered Species. This is just my opinion on the foods I pick that I love and would recommend. Non-organic bars may contain GMO’s, thanks to a very kind reader, Erica. Thanks Erica! If you can choose organic. Winner will receive an organic bar, rather than the “all-natural”. A few years ago, after going all-natural and organic, I started looking for a chocolate bar that was ethically sound, environmentally friendly, and low in sugar. It wasn’t easy, especially since most chocolates in many supermarkets are either loaded with sugar and pasteurised dairy or use cocoa beans obtained from unethical practices. Then I found Endangered Species. What makes me choose this brand of chocolate over others? First and foremost their chocolate is fair trade, something you don’t see much of when it comes to chocolate. Also, 10% of the money you spend on their chocolate goes toward protecting wildlife and endangered species. By purchasing this chocolate, you are helping the lives of innocent species all across the planet. That’s something to feel really good about. There are many different percentages of cacao present in Endangered Species chocolate. I personally like the 88%, as it only contains 10 grams of sugar for the entire bar, compared to milk chocolate bars that can contain anywhere from 28 grams to 40 grams of sugar. That’s way too much sugar. Plus, when there is more cacao present in the chocolate, you receive more antioxidants and flavonoids, which have been shown to protect against cancer and promote certain anti-aging effects. All Endangered Species chocolates are also certified gluten-free, which is a big plus for many of you reading this. 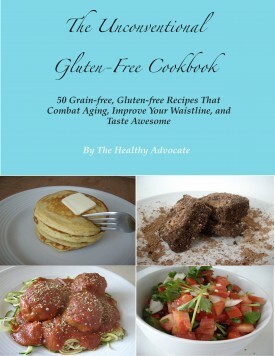 As you know, I’m a big advocate of going gluten-free (just take a look at my recipes!). Since this bar contains 10 grams of sugar, this isn’t recommended for those who need to watch their blood sugar intake. The portion size is 1/2 a bar, which comes to 5 grams of sugar; still, if Endangered Species had a 90% or higher bar, that would greatly reduce the sugar, and increase the cacao. I’m a huge fan of 90-100% chocolate, but unfortunately this company has yet to produce these cacao percentages. Also, these bars contain soy lecithin. Soy isn’t a great ingredient in large amounts, and some people need to or desire to eliminate all forms of it in their way of eating. Although I have totally ditched soy milk long ago, if I am eating organic fair-trade chocolate every now and then, then a tiny amount of soy lecithin isn’t my main concern. That being said, it would be nice to see a bar in the Endangered Species line that is not only gluten-free, but soy-free, as well. 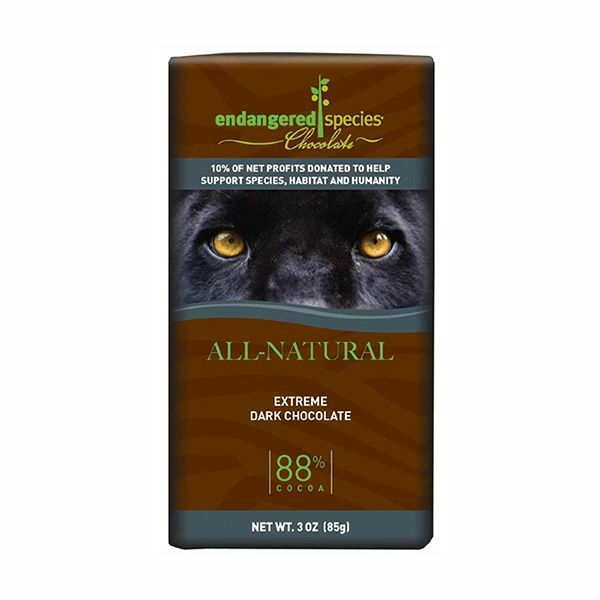 I would like to give away one 88% Endangered Species chocolate bar to you! 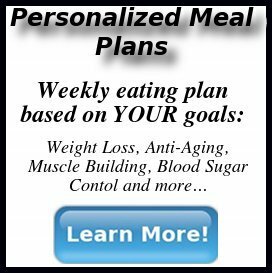 If you want to try this bar, simply comment below in this post, on my Facebook or Twitter, or email me directly. There is only one winner this time around, and I hope it’s you! I will be drawing a winner Wednesday evening (March 6th, 2013), so get your entries in! Until next time, this is The Healthy Advocate. Thought you’d like to know that they use beet sugar in the non-organic bars, meaning that the bars contain GMO’s. All natural, not so much. Thanks, Erica! Your comment has been incorporated into the post. You are currently reading "My Supermarket Pick: Endangered Species Chocolate"